We are manufacturer and supplier of Fiber Glass Items such as polycarbonate sheets, multi wall poly carbonate sheds, wind operated turbo ventilator, and fiber glass products. For ensuring in them flawless finish standards, these are produced using quality material sourced from trustworthy suppliers, thus allowing end products to achieve features like long service life and low maintenance. 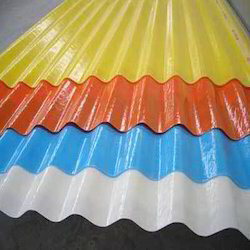 We offer a grievous series of FRP roofing sheets which are available in various colors, sizes and thickness which can vary according to customer‘s requirement. These sheets are available in standard sizes or can be made on customized designs according to the profile pattern of client. These sheets can be transparent that reflects 60-80% light or can be made opaque which does not allow light to pass through. We also provide complete roofing solution which includes designing, maintaining and installation of roof with standard fixing methods. 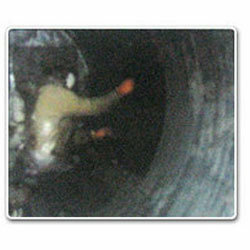 Rainwater Gutters in various sizes and are used in many industries. These gutters are fitted on the roof of industrial building for water drainage. They are available in standard formats or can be made on customized designs. 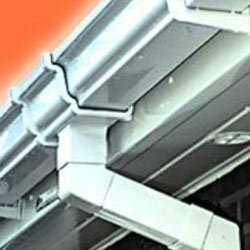 These gutters can also be used as water harvesting system. We are one of the leading manufacturers of FRP Pigment paste. We provide about 300 shades of colors like red, PO red, Ice Blue, Golden Yellow, Ocean Blue, Pastel Blue, Emerald green Etc. 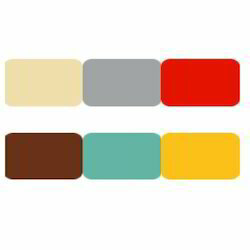 These coloring products improve the durability of the colors under outdoor conditions. These colors are produced by mixing dry pigment powder with polyester resin in mixture machine. Our production capacity is about 30 tons per month. All of these colors are manufactured using standard quality pigments and resins. • Shades can be made as per customer’s requirements. We are one of the leading manufacturers of wide range of FRP bus Bar supports. It is specially designed for Bus bar conductor and is used at the low voltage. These are developed using latest standards to meet the requirement of the client and our series of bus bar support is exhaustively utilized in control panel and bus duct industry. All these products are produced using quality material. We are trusted manufacturer of FRP corrugated sheets and we provide exclusive range of machine made FRP Corrugated sheets. They are used enormously in Warehousing sheds security cabins, parking sheds, office shelters etc. The size, lengths, thickness and other properties can vary according to customer’s need. Their rust proof property helps in successfully meeting the challenges of any kind of weather. 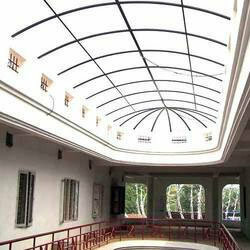 We provide a groovy range of domes which can be used in industries, residential areas, hotels, malls, plaza etc. They can be used for decoration purpose as well because they enhance the view of any place. They allow day light to pass through. They can be transparent as well as concealed. They simply add value to the show place. Our domes are robust, strong and sturdy in construction. These are highly durable and cost effective. Light in weight and are easy and economical to install. Have high tensile strength and are temperature, pressure, water, chemical and corrosion resistant. Our domes are weather proof. These domes have a long service lif as they don’t crack or peel. Moreover, our domes have no maintenance charges and are not required to be painted. 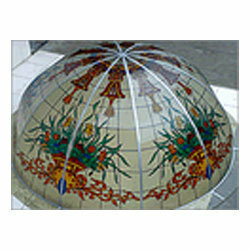 Domes can be customized as per clients requirements and specifications. We provide an exclusive range of rain water gutters which are designed according to international standards to successfully meet customer’s requirements. These gutters are best substitute for metallic rain water gutters as they are long lasting and require very low or no maintenance. The size, length, thickness and color can vary according to customer’s requirements. • It reduces structural cost to a large extent because it is light in weight. We offer a wide range of Fiber glass products with optimal quality and follow international quality standard. 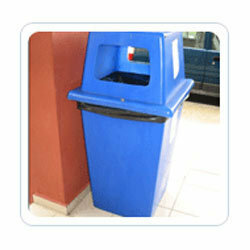 These products include doors, furniture, dustbins all made up of fiber glass. All products are produced by quality material procured from trustworthy domains. Our products ensure features like long service life, low maintenance durability and many more to our clients. We fabricate FRP Lining & Coating that are used in diverse applications such as leak proofing of roof tops, tank lining in chemical industries, anti corrosion treatment of metal tanks and many more. These FRP linings are hard wearing and can withstand harshest conditions. We provide FRP lining of storage tanks, MS pipes and fittings of large diameter and concrete structures. The FRP Linings are available in varied sizes, shapes and thicknesses. Our FRP Linings are extensively used in chemical industry as they are non-reactive and corrosion resistant. These high quality resins used helps in withstanding the effect of dangerous chemicals and high temperature. These lines are widely used in paper industries, sugar industry, oil and gas industry. We have the expertise in offering our clients an exclusive range of FRP roofing sheets. These are available in about 100 profiles such as A.C, G.I and plane. . These sheets can be transparent that reflect 60-80% light or can be concealed which does not allow light to pass through. These sheets are available in standard sizes or can be made on customized designs according to the profile pattern of client. The size, length, thickness and color can vary according to customer’s requirements. We are presently engaged in the manufacture of Plastic Sheets in FRP for roofing and cladding purpose. Our Plastic Sheets in FRP are mechanically strong, light weight, impact resistant, unbreakable, weather and storm proof. These are U.V. stabilized and therefore resist the harmful effects of the U.V. Rays of sunlight. FRP Plastic Sheets can be opaque or transparent. The Transparent FRP Plastic Sheets allow sunlight to pass through them and thereby provide limited illumination in the shed area, to help save on precious power meat for lighting purpose. In addition, FRP Plastic Sheets can be made anti-corrosive and fire resistant, if required. FRP Sheets are maintenance free, durable and come with a guaranteed life expectancy. These can easily be repaired at nominal charges in case of an accidental damage. FRP Plastic Sheets have pleasing aesthetics and environmental friendly. These can be manufactured in any corrugation / profile as required. FRP Plastic Sheets are available in a wide range of designs- Plain, Crinkled, Corrugated (ACC, Aluminium, G.I. ), Profile (Clip On, Hi-Rib, Trapezoid). With the experience of past several years, our company has gained enough expertise in manufacturing FRP Jali Panels. Our range of Jali Panels is manufactured by some of the experienced and qualified professionals who have made this available in varied colors grating. Moreover, we also offer customized solutions to our clients as per their demands. Our Jali Panels find their extensive utility in several sectors such as swimming areas, chemical plants, electroplating platform, power plants, refineries and many more. With the support of our designing team, we have been reckoned as one of the prominent manufacturers and suppliers of FRP Security Cabin. In the entire market, all these security cabins are widely renowned for their resistance to weather. We have designed all these cabins using high quality FRP materials that ensure excellent resistance against electrical shocks, UV rays, moisture & water, temperature and water hammering. The FRP Security Cabins are easy to install and therefore used in many construction sites and offices. 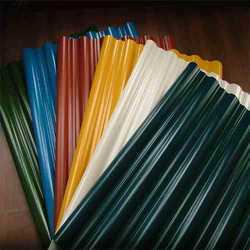 FRP Translucent, Roofing sheets are best chosen material for roofing, where controlled light transmission is required with maximum 90% light transmission as FRP are much stronger and stiffen material which are duly reinforced with glass fibre unlike other plastics and polycarbonate sheets which has no insitu reinforcement material. The corrugated profiles created in FRP is moulded process, whereas in other plastic or polycarbonate sheets is cold bending process which makes all the edges at bending a permanent weak point. Due to this moulded process in FRP Sheet, it gives better flexural rigidity reducing the deflection under high wind velocity and extremes of weather as well as other incidental loads. We manufacture this product in the most advanced State Of Art continuous production line for manufacturing high transparency sheets and are available in all existing profiles matching to metal roof sheets. 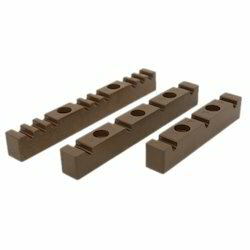 Length : Any length upto 10 ft.to 12 ft.
Width : Max 36 inch & above. Light Transmission : 80-95% max. Colour : Any translucent or opaque colours. Other Products : FRP Louvers, Colour Gel Coated Chemical Resistant Sheet. Chemical resistant sheets with special protective coating in plain /profile. Excellent & Uniform light Diffusion & Light Transmission. Natural Day Light –Good for health & Reduced Electricity consumption. 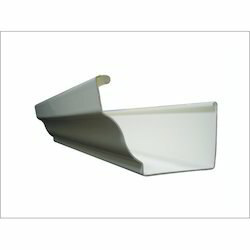 Looking for Fiber Glass Items ?